Apple sets up a second half of 2014 filled with product announcements — or a lot of disappointment. There was nothing truly groundbreaking, with the announcements amounting to either nice-to-have improvements to its mobile and desktop experiences or developments with grander implications down the line. Apple’s diehard fans might salivate over today’s news, but casual technology enthusiasts could be excused if they found it to be a bit of a snooze. “Today was all about securing the future,” said Carolina Milanesi, an analyst at Kantar Worldwide. So does Apple still have its mojo? We still have to wait to find out. 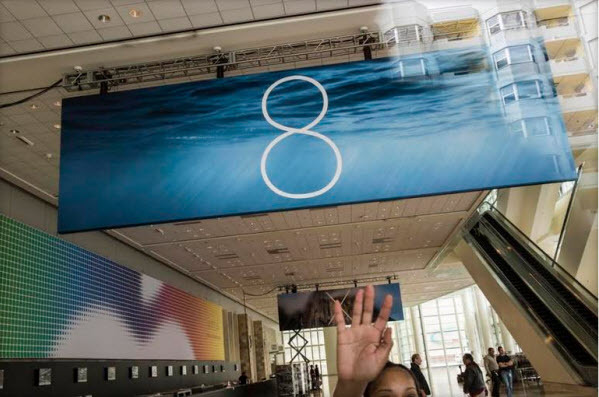 In the meantime, here are eight things we did learn from this year’s WWDC. Get ready for a crazy second half. If Apple CEO Tim Cook’s teases of exciting new product categories (and senior executive Eddy Cue’s boast of the “best product pipeline in 25 years”) are to be taken seriously, Apple should have a flurry of product announcements in the coming months. At least last year, Apple showed off some revamped MacBooks, as well as offered a glimpse of its MacPro. The company is setting itself up for an extremely loaded back half, with a refresh of its MacBook, iPhone, and iPad lines, alongside a potential new product like the oft-rumored iWatch. No early iPhone 6. There have been growing rumors over the past few months that Apple could break from its recent trend and offer up its next flagship smartphone earlier than expected, potentially in the summer. It’s not that farfetched; Apple originally launched its new iPhone in the summer months. But alas, Craig Federighi, senior vice president for software with Apple, confirmed that iOS8 wouldn’t be available until fall, which suggests another fall launch for the iPhone 6. Continuity is the new Apple buzzword. Federighi spent a fair amount of time showing off features that further tied together the MacBook with the iPhone. With OS X Yosemite, Mac users will be able to answer or make a call from their computer, which is linked to their iPhone. Macs and iPhones will be able to sense each other, allowing you to finish a task on one device even if you started it on another.